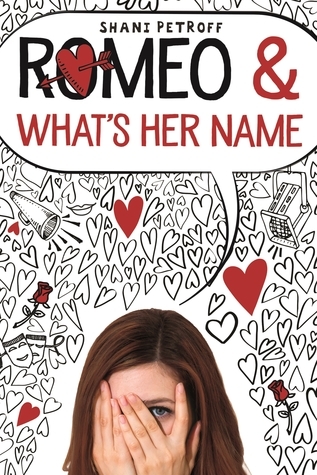 As a fan of the Swoon Reads line, I was excited to dive into Romeo & What’s Her Name. Like Emily, I find reading Shakespeare to not be an easy experience, so I knew right away that this was going to be a fun book. Emily has had a crush on her neighbor for years now, and now that Wes is single again, Emily is determined to put herself out there. The perfect opportunity is presented to her when she finds out that Wes will be trying out for the part of Romeo in their school’s celebration of Shakespeare. Emily decides that she’s going to try out to be Juliet, which will also give her the extra credit she desperately needs for her English class. When Emily loses out on the part to her nemesis, she convinces one of her best friends, who also happens to be directing this scene, to cast her as the understudy so that she can still be close to Wes. But it’s only one night so she doesn’t really need to learn the lines. That is until Amanda is rushed to the hospital the night before and Emily has to quickly learn all of the lines. Based off of the synopsis, I expected the play to be the main focus of the entire book, so I was surprised that the play was only one scene and that it occurred towards the beginning of the book. The actual aftermath of the disastrous scene is what comprises most of the book. Emily is a klutz, which I can relate to, but she takes it to a whole new level while performing in front of the entire school. Her embarrassing moments were funny yet so cringe-worthy. There were several times where I had to look away for a second before continuing on. The secondhand embarrassment is that real. The characters were fun. I loved that Emily had two best friends who stuck with her no matter what. And Wes was just so sweet. I could definitely understand why Emily had liked him for so long. There were a few parts that were overly dramatic, but what else would you expect from a book that has a drama as the central part? There were several miscommunications that were frustrating and could have honestly been cut. Overall, Romeo & What’s Her Name was just the fluffy read I needed. I would recommend this for younger teens looking for a cute and funny read.